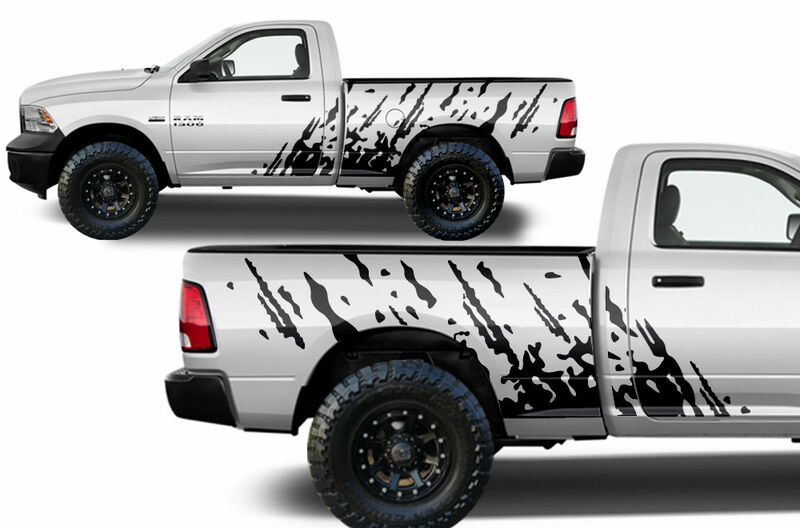 Custom Splash Body Graphics Decal Kit Splash Body Graphics Decal Kit, 3SP Custom Patriot Splash Decals, Dodge Ram Splash Body Decals, Dodge Dakota Splash Body Decals, Dodge Durango Splash Body Decals, Dodge Nitro Splash Body Decals, Jeep Commander Splash Body Decals, Jeep Patriot Splash Decal [3SP Custom Splash Decals] - $104.95 : 3rd Strike Performance, Your Source for Late Model MOPAR Performance Parts and Accessories! Please read the disclaimers below! International Buyers – Please Note: Sorry we do not ship international. Some settling will occur during shipment! Corners may get slightly bent during shipping, or wrinkles may form on the liner. This is NOT a defect and should smooth out during the installation process. Please read the installation instructions thoroughly before applying the decal to your vehicle! We also recommend watching online videos of the install process. We cannot accept returns if the decal is damaged during the installation process. Make sure the surface is clean and smooth before applying the decal, as dirt and dust there can make the adhesive less effective. Some trimming of the liner is required as laid out in the install guide, but you do not need to trim any part of the vinyl itself unless the listing or instructions state otherwise. If you are not comfortable doing the installation process yourself, you can always contact a professional at an auto body shop that specializes in vehicle wraps to install the decal for you. *Due to the custom nature of these decals, they are not returnable (unless we made the mistake, like sending the wrong color) *Please note that all of our items are made-to-order and can take 3-5 business days to produce before shipping out. Thank you for your patience!